I came across frozen green garbanzo beans at the store recently and thought they would make for a nice twist on classic hummus. Green garbanzos have a decidedly greener flavor, kind of like green peas, which makes a brighter tasting hummus. I was also pretty generous with the parsley which added to the fresh green flavor. A touch of mint would probably go well too. I tend to like things like this slightly acidic so I used quite a bit of lemon. Incidentally, we got fava beans from our CSA this week, which would also work well. 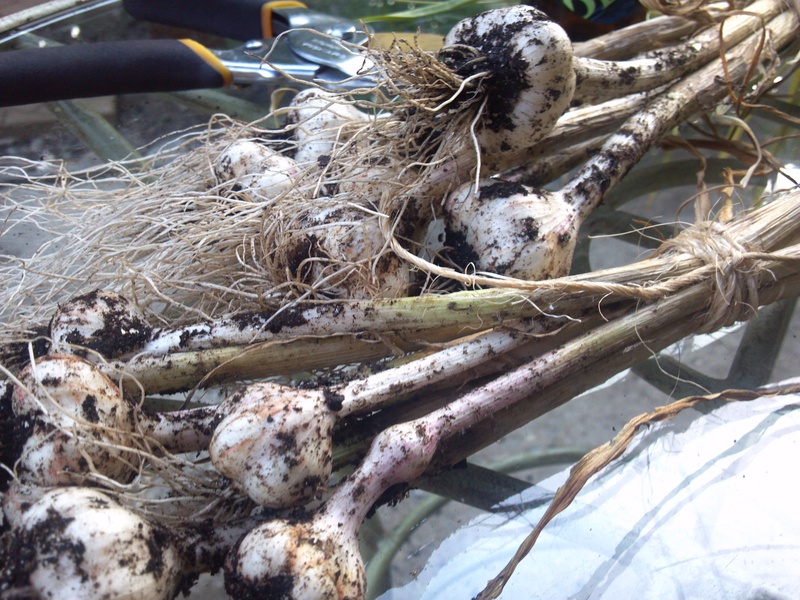 On another note, I harvested my first garlic bulbs and after a few weeks curing in the basement we’ve started cooking with them. 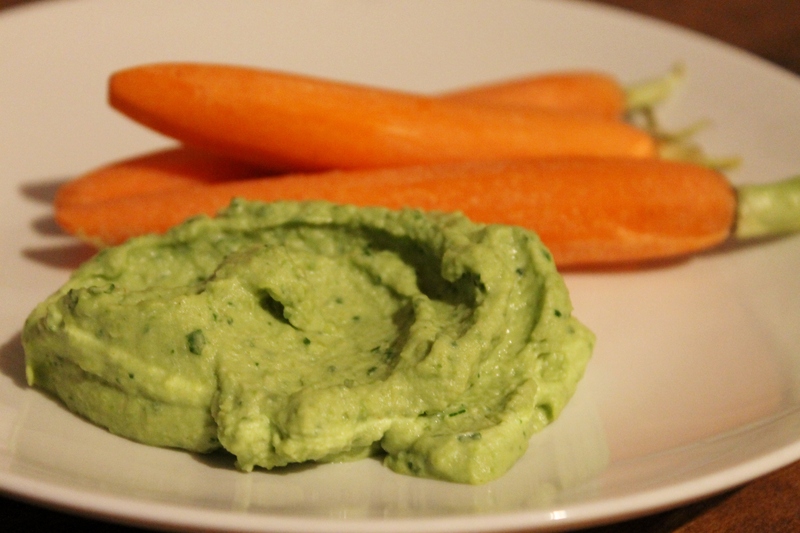 Hummus made with my home grown garlic – little successes like this really make me proud! Combine all ingredients in a food processor and puree until smooth, adding water as needed to get the consistency that you like. Season with salt and pepper to taste.